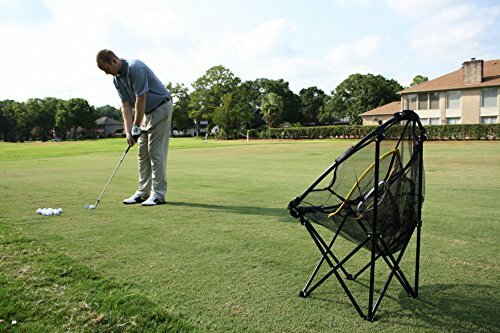 The JEF World of Golf Collapsible Chipping Net is built for the golfer who wants to focus on improving their chipping. Store it in your car’s trunk for the next time you can make it to a driving range or a local park. Or just set it up in your back yard. 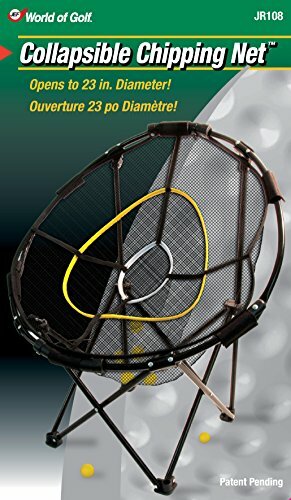 This collapsible net converts from a 23-inch diameter to a 7-inch diameter frame in a matter of seconds. It has 3 sizes of chipping baskets to make it easy to narrow your targets and improve your accuracy. Most of us do not practice our short game skills enough. And when we do practice chipping we don’t fully focus on exact targets. The JEF World of Golf Collapsible Chipping Net takes away our excuses for not doing it right. Set the net up in your backyard (or even your basement). Grab your lob, sand and pitching wedges and go out, every day and chip 20 – 25 balls per wedge. You can’t help getting better with that kind of target practice. At 4.5 pounds the JEF World of Golf Collapsible Chipping Net is lightweight yet durable and folds down to a compact size for easy storage. 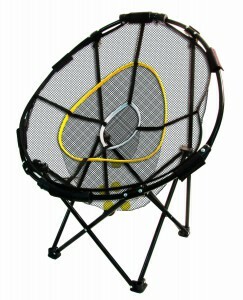 The Chipping Net comes with all necessary nets, frame and legs for easy assembly. The net is secured to the frame using high quality velcro clamps. Assembly will not take more than a couple minutes at most. The JEF World of Golf Collapsible Chipping Net is the perfect short game training aid for beginners to experts, left handed or right handed players and golfers of all ages and genders. It enables easy and convenient short game practice in your backyard at a very reasonable price. Buy the JEF World of Golf Collapsible Chipping Net! This is truly an amazing tool that I’ve been using for a long time and after three years it still stands in my garden! 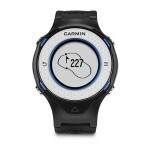 A must for every serious golfer! Thanks for the comment. The JEF chipping net really does make it easy to go out and practice. So, we really don’t have any more excuses for having a bad short game! I love golf and my chipping game is the bad part of my game. This chipping net may be a great way for me to practice my chipping game. Do you think this will really help me? Practice is the only thing that can lead to improvement. I personally use this chipping net both outdoors and in my basement at home. I know that it has improved my chipping. I always had problems with my alignment and the direction of the ball flight when I chipped. This net, along with a few alignment rods allowed me to get my alignment right while aiming at the chipping net. As I improved I moved from aiming generally at the net to focusing in on the smaller sections of the net. So, I can’t tell you if it will work for you, but I am a huge fan of this particular net. Thanks for the comment. The JEF Chipping Net is a great aid. I keep one in my basement and frequently take it into my backyard to practice chipping. Practicing with it forces me to focus on my alignment and distance control. My chipping has greatly improved in the last year. Good luck.